Anchor Shilpa Chakravarthy in red and white designer half saree. Indian Television actress Pooja Bose in yellow and pink designer half saree. Bollywood actress Parineeti Chopra looked stunning in off-white color backless outfit at Zee TV press meet. Tollywood actress Suja Varune in cotton saree. 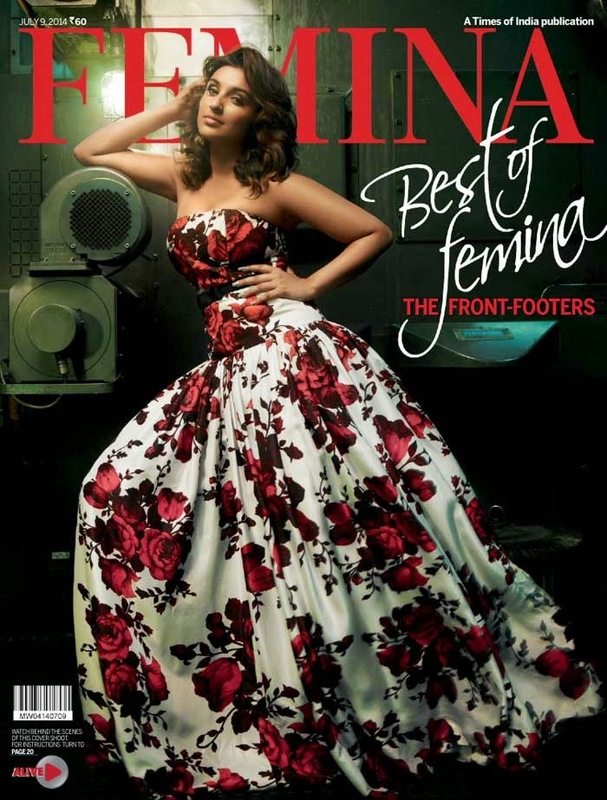 Bollywood actress Parineeti Chopra on Femina India July issue in a floral strapless dress by Atsu Sekhose.